This is one in an occasional series of interviews I’m doing to help you get the most out of your photo session. Patrick Fitch is an experienced recruiter, currently working for Comcast Cable. I met him at an event hosted by the National Association for Multi-ethnicity in Communications' Atlanta chapter. I took the opportunity to talk to him about photos and professional branding, and he graciously agreed to answer a few questions for me. Camille Wright Felton: Research I've seen shows that a majority of recruiters use LinkedIn as a tool for finding talent for open positions. How and why has it become such an important tool? Patrick Fitch: LinkedIn has more professionals in one place than any other business/network oriented website. You can trust the majority of profiles you view and the information you view frequently matches the person you contact. The various groups allow you to keep up with industry trends and best practices in HR and specifically in the area of recruitment. CWF: If you do a quick search on the web for tips on creating a LinkedIn profile, many of the articles or info graphics you find recommend including a professional photograph. Why would you say including a picture is so important? PF: The picture adds legitimacy to your profile. This is consistent on all websites whether linking professionals or those for personal use. When you can see the person, you are much more inclined to connect and interact with them. CWF: Besides a good profile image, what do you look for in a LinkedIn profile page when you’re searching for talent? PF: Relevant and concise information sharing the highlights of the person’s career. The profile should include a strong professional summary and a dated work history including titles. CWF: What advice would you give to someone about how his profile photograph plays into creating a professional image? PF: I want to emphasize the word professional. It amazes me when someone’s LinkedIn picture is the equivalent of what their profile picture for a social media site or an appropriate picture in general. While no one wants to and should not be judged by their picture; you do not want to (for example) have a picture of you holding an alcoholic beverage. 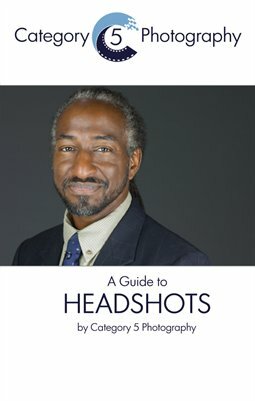 CWF: What advice would you give about choosing an appropriate photograph for business profiles, for job seekers or for people who have positions? PF: You can never lose when you take a professional picture in a business suit. The picture should be a “bust shot” versus a full body shot. If you deviate from this, there should be a good reason why. My picture is not traditional, yet it is strategic as it normally generates interest and conversation around what it is seen in the background.